These male lions - possibly brothers - were part of a pride that had earlier killed and fed on a buffalo in South Africa's Kruger National Park. It was a cloudy day with a strong breeze blowing, as can be seen by the lions' windswept manes. 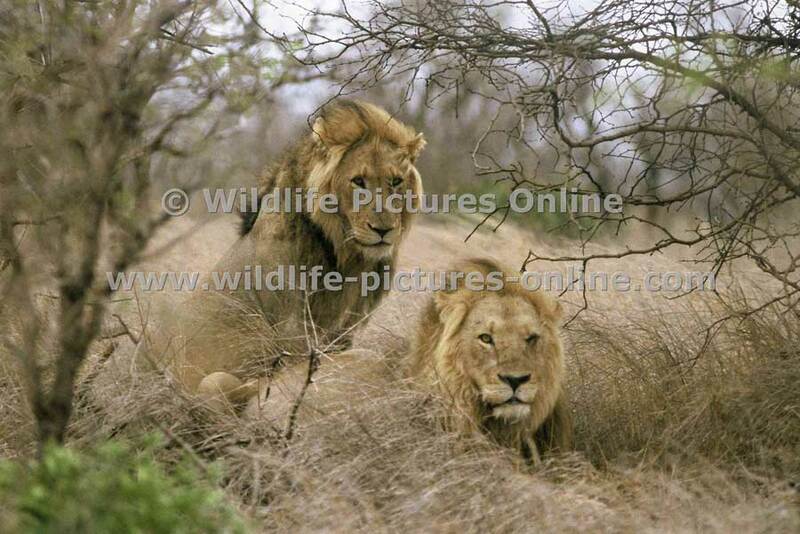 Caption: Pair of male lions (Panthera leo) in long winter grass, Kruger National Park, South Africa. Photo: © Scotch Macaskill. Camera: The photograph was taken with a Canon EOS Elan film camera and Canon EF 300mm f/4L USM lens, using slide film scanned on a Nikon Coolscan V scanner.